Convert TTA to MPC with comfort. 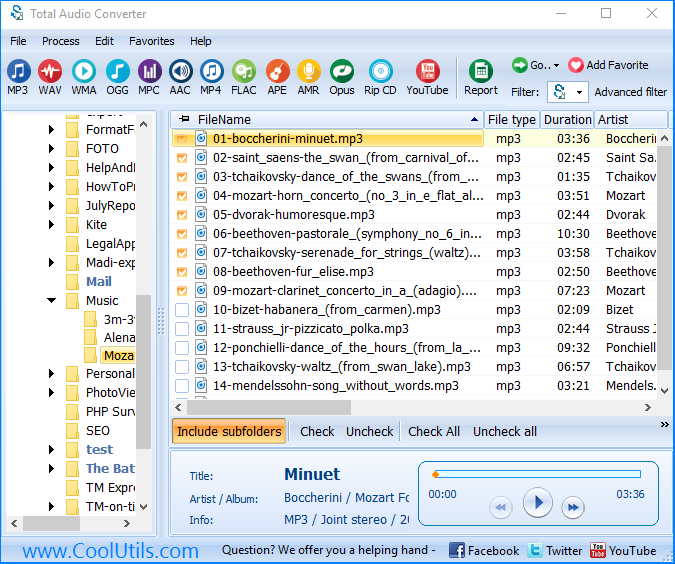 You are here: CoolUtils > Total Audio Converter > Convert TTA to MPC with comfort. TTA format is used for lossless digitization of audio tracks. It provides excellent sounding quality, but the music in this format requires a lot of memory space if to store it locally or record on CD/DVD-ROMs. That is why, if you need to cut the size of TTA tracks, it is recommended to convert them to more compact format. 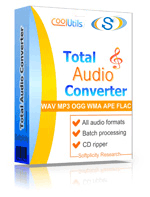 Total Audio Converter offers convert TTA to MPC, MP3 or AAC. If sounding quality is important for you, use MPC. 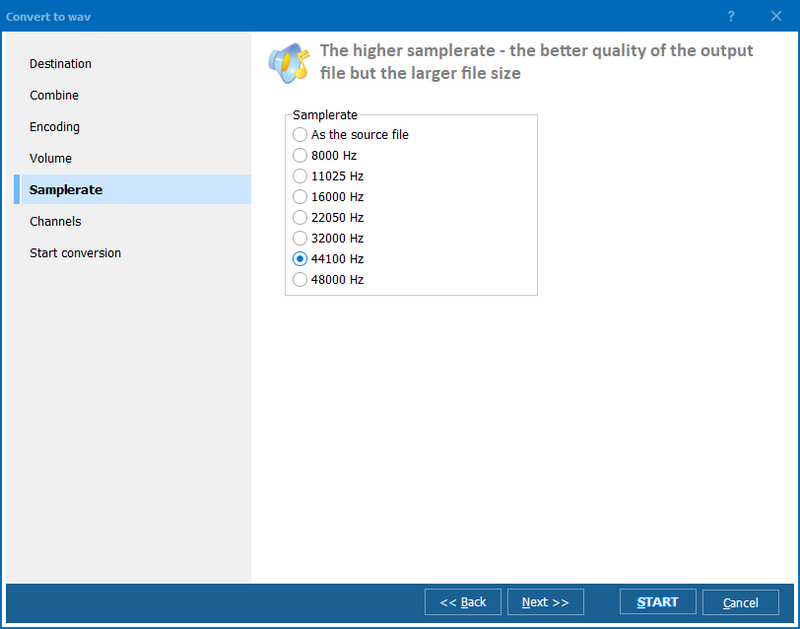 It compresses music efficiently, leaving its quality very high. You can use this TTA converter in any way suitable for you – running conversions via GUI, via command line or via file menu. The last variant is suitable for converting a single file from the desktop. Just click on the file icon with the right mouse button, go to Convert to menu item and choose MPC format. If you need to convert TTA to MPC in batch, you need to use either GUI or command line mode. In both cases the conversion will be completed quickly, producing high-quality MPC copies of the chosen originals. 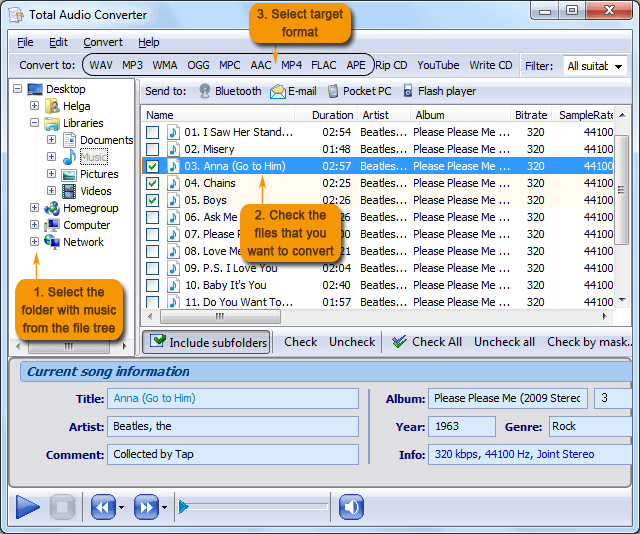 Mention that TTA MPC converter can work with settings by default or with manually set conversion parameters. You choose the options you need or leave all settings as they are, to get exact copies of TTA files in MPC format with average quality. 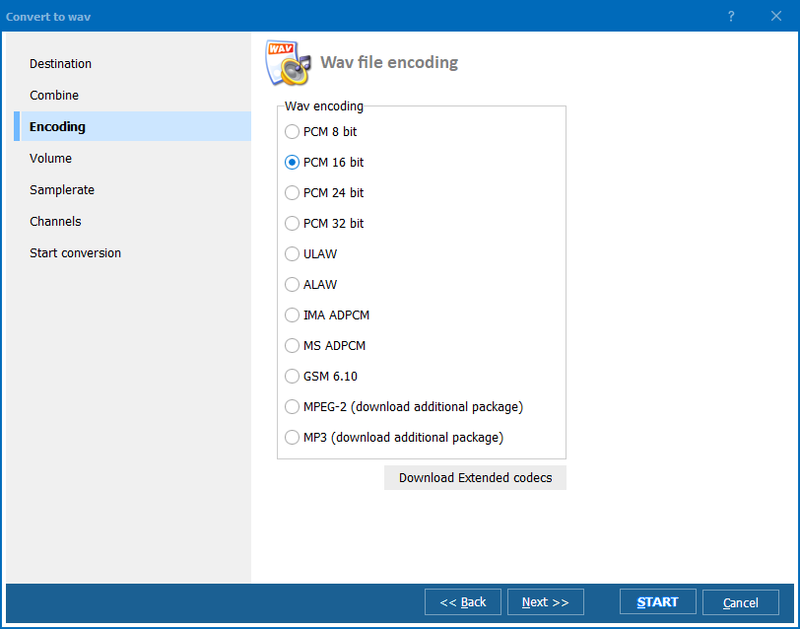 You can try this audio converter for free first and then buy a license for unlimited use. Download your copy now.